Christmas is on its way and its the time to get all festive. Whether it be shopping, spending time with loved ones or eating tasty treats. A great way for the family to get festive is by watching a Christmas film. 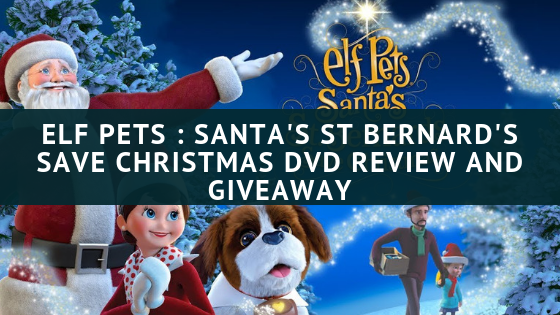 Elf Pets : Santa’s St Bernard’s Save Christmas is a lovely film that is fun to watch. The film also gives the message across of what part of Christmas is all about. Being kind and caring to others. This is a lovely catchy movie featuring the well-known Elf on a Shelf and a bunch of absolutely gorgeous St Bernard’s. The film is full of lovely animations and wonderful songs. The theme to the film is to remind the world about the spirit of Christmas. 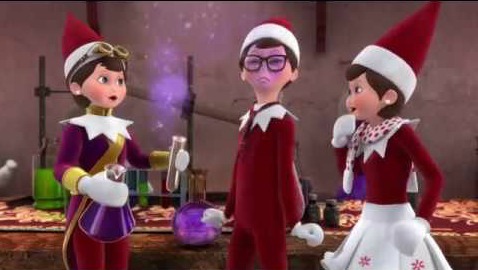 Joy Sugar Cookie ( The adorable elf in the white skirt) and the other elf’s help remind you about Christmas spirit. And they sing fab songs! This film really is a great way to get festive and is perfect for young viewers. It is only 26 minuets long, which is however still long enough to eat a fair amount of popcorn. A truly enjoyable film that you will find yourself singing along to. There are also some great activity sheets that you can download and print out. These are perfect for on the way up to Christmas. Click on the link to have a look at and to print them out. 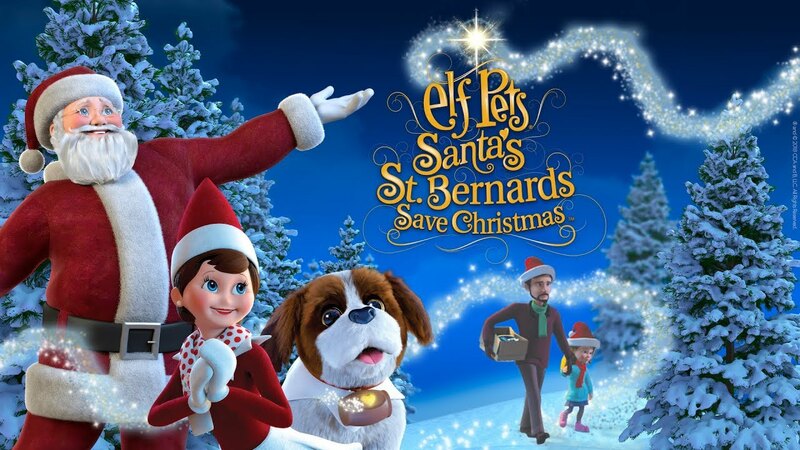 Elf Pets – Santa’s St Bernard’s save Christmas is available on DVD and Digital Download. I have a wonderful giveaway for my readers. The chance to win one of three copies of this wonderful film. Entry is via the gleam app below. Love seeing the family and the kids faces! I love seeing the christmas lights outside houses and in windows. I love quality family time over the Christmas period. The decorations and lights and the experience for the children! I love spending time with my family, giving and receiving presents and eating lots of food. Love the build up, from Dec 1 when Cranberry and Bluebelle arrive its christmas in our house! I do love the kids faces when they wake up and see all the presents – I put one on each step and at places in the hall leading down to the tree, making it a lovely surprise for them!! I love everything , decorations , santa even sprouts ! I love the excuse to really indulge without feeling guilty! I love that all my family are off at the same time and we have a magical time! The togetherness……….lovely time of year, many thanks. What I love about Christmas is the excitement of hunting for a little special gift for everyone I care about. LOVE THE RUN UP TO XMAS THE DARK NIGHTS, THE LIGHTS, THE XMAS SONGS IN THE SHOPS ! Putting the Christmas Decorations + Tree up and making all my home look Christmassy! 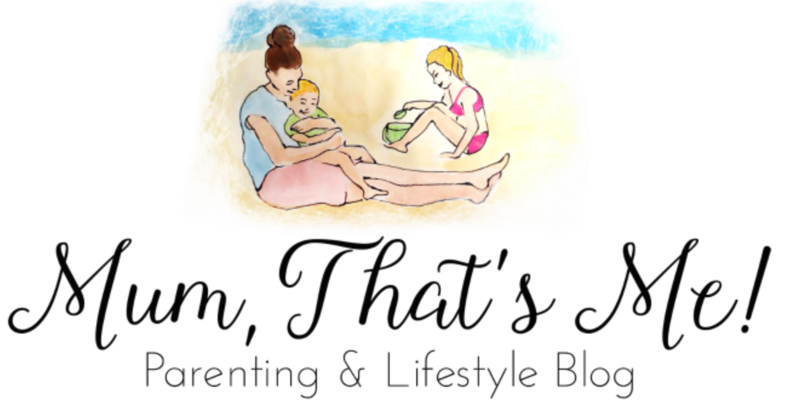 Relaxing with my family and having a change from the norm. I love having all my family at home and spending time together. The food. It’s the only time of the year where it’s acceptable to eat chocolate (advent calendars) before breakfast. Yippee! Christmas is on its way. It fills my heart with joy. The crib, christmas wreaths, christmas tree decorations, starts, cake and wine, all make me feel excited. All the family being together. I love all the great food and drinks over the festive period. I love the cosiness and spending time together with family. Is it wrong to say brandy snaps, only have them at Christmas! When it’s over for another year. Bah humbug! Ok, I like seeing the children open their pressies and sqeal with delight. I love seeing my family and spending time with them. I love the smell of tinsel, twinkly lights, chocolate for breakfast, smiles on faces and watching christmas movies.